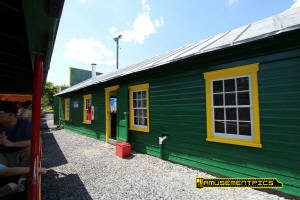 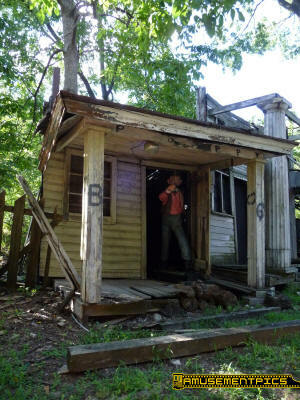 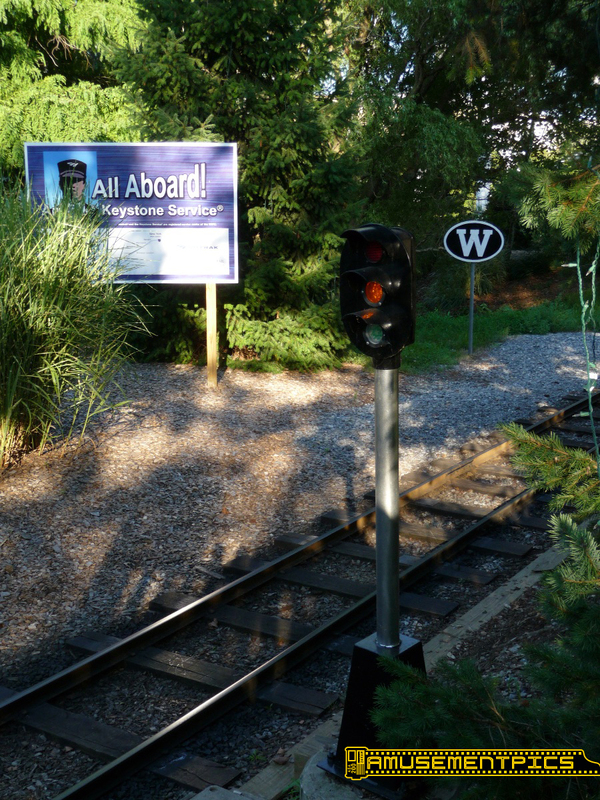 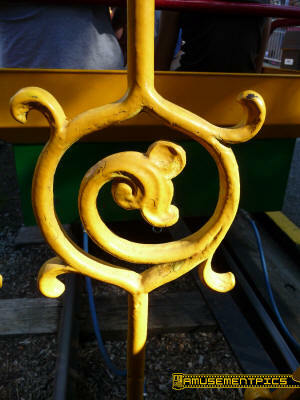 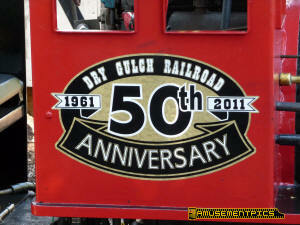 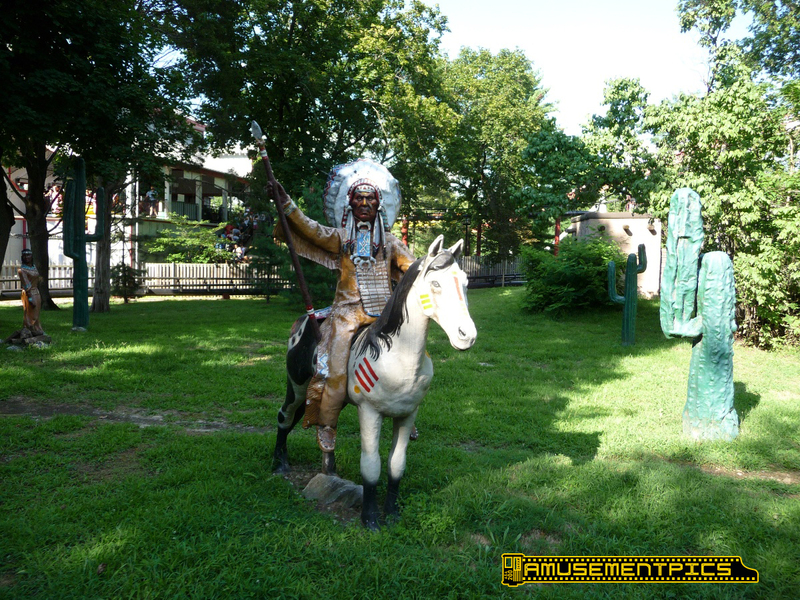 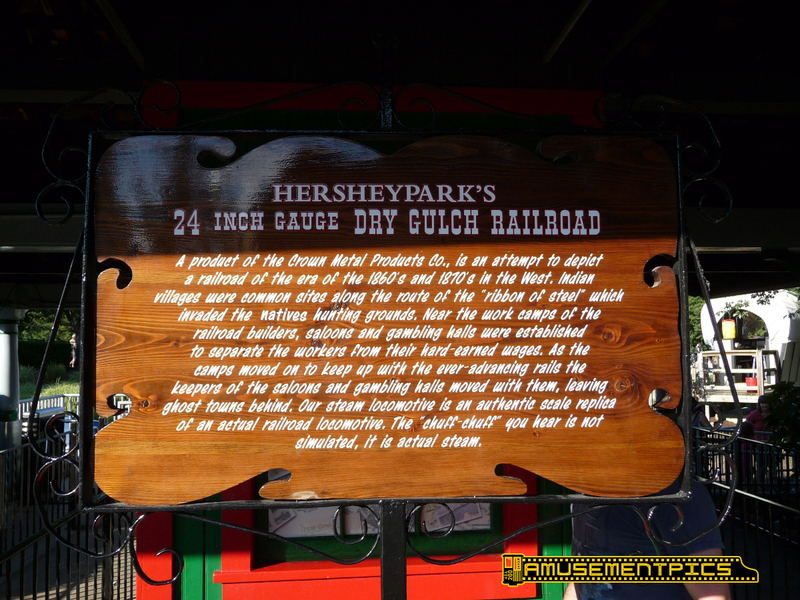 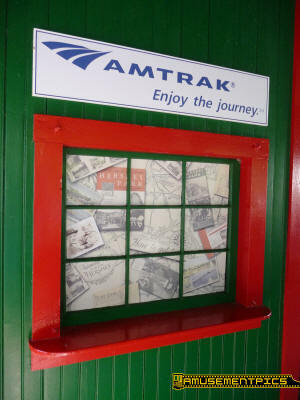 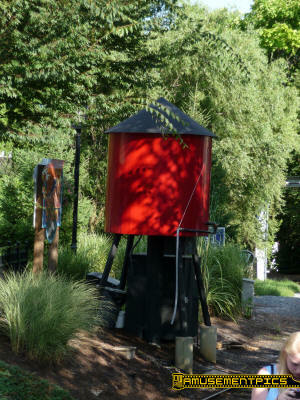 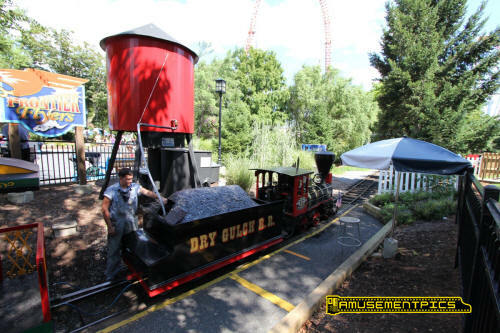 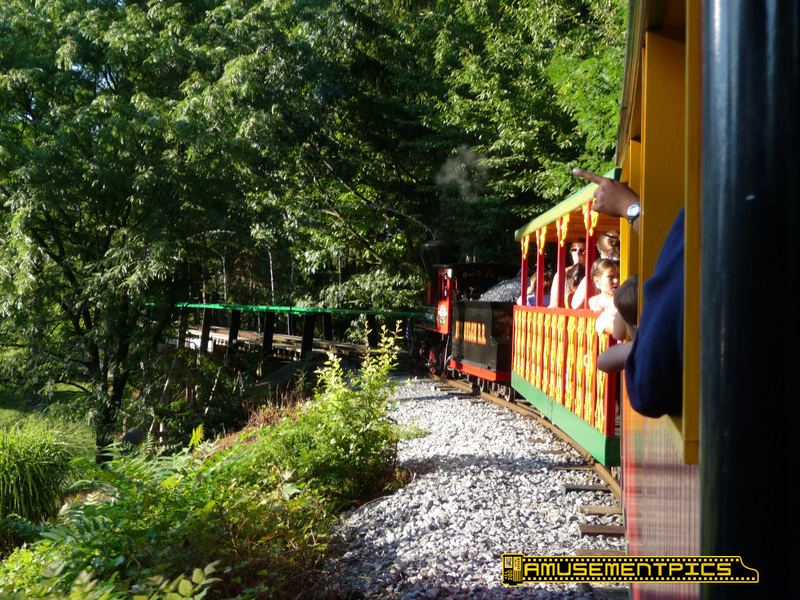 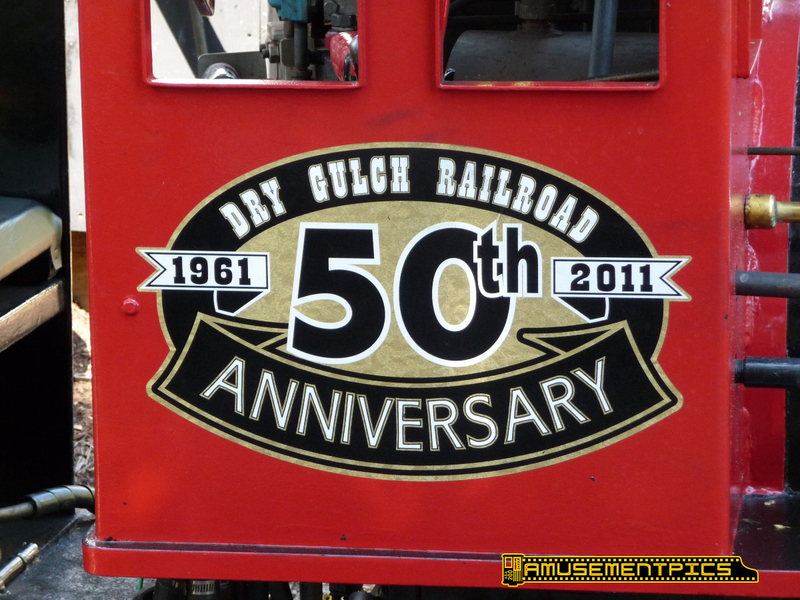 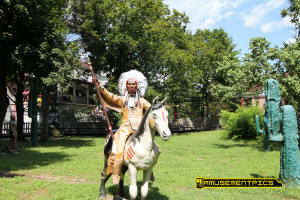 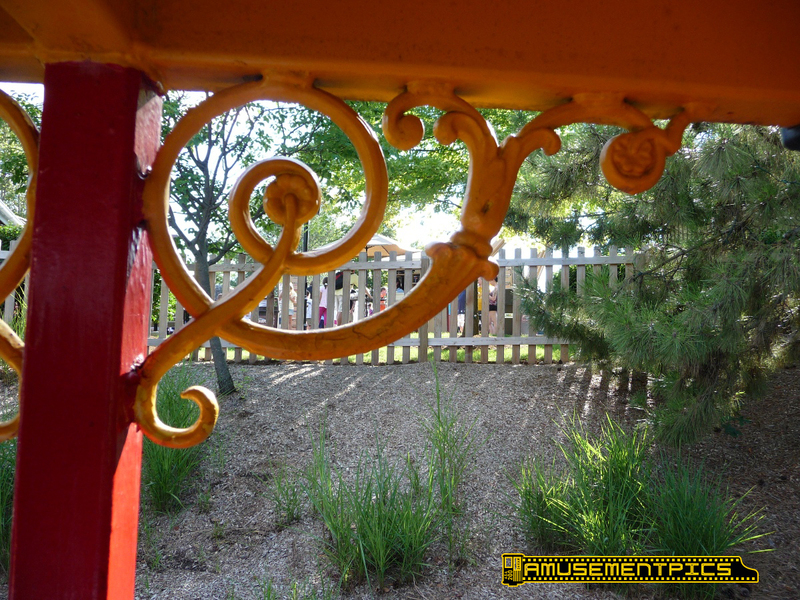 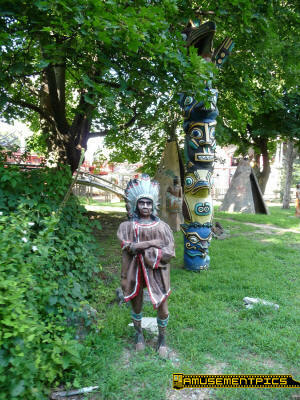 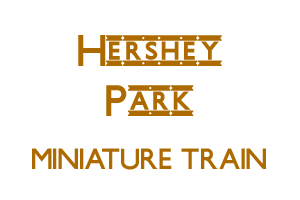 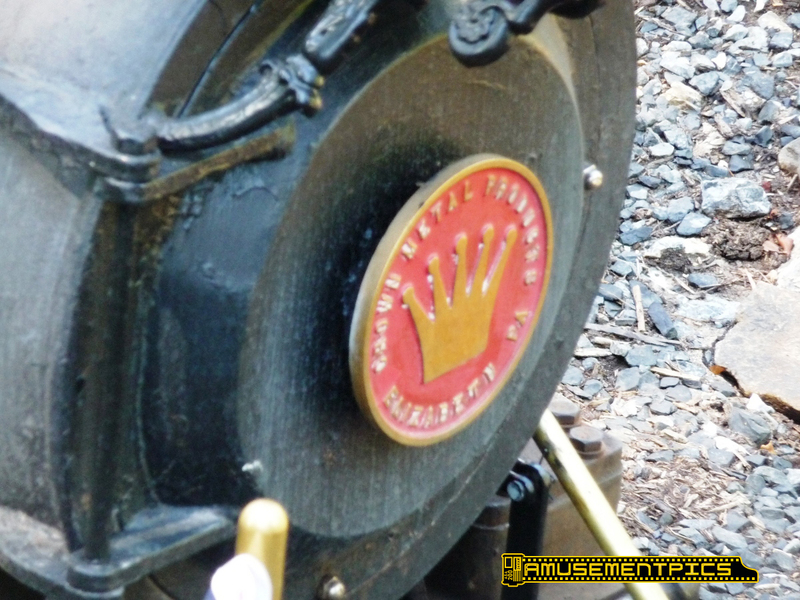 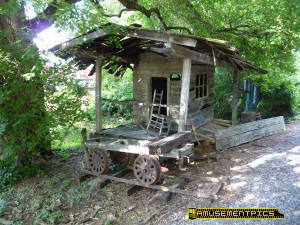 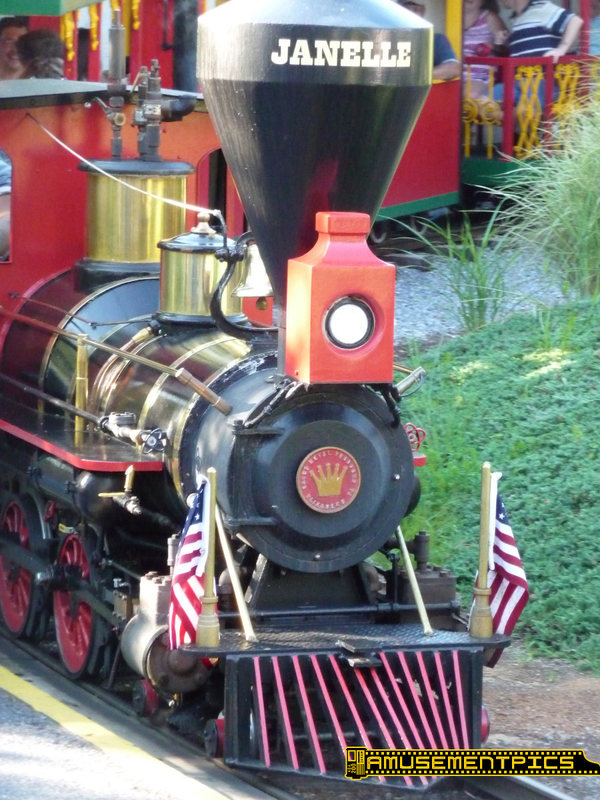 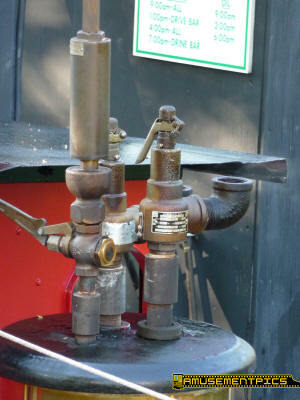 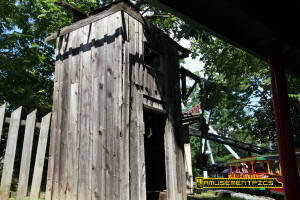 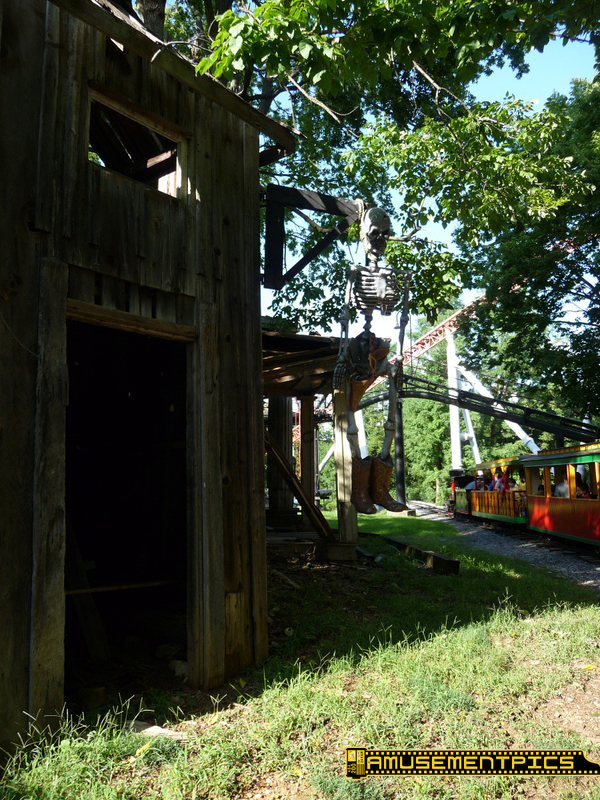 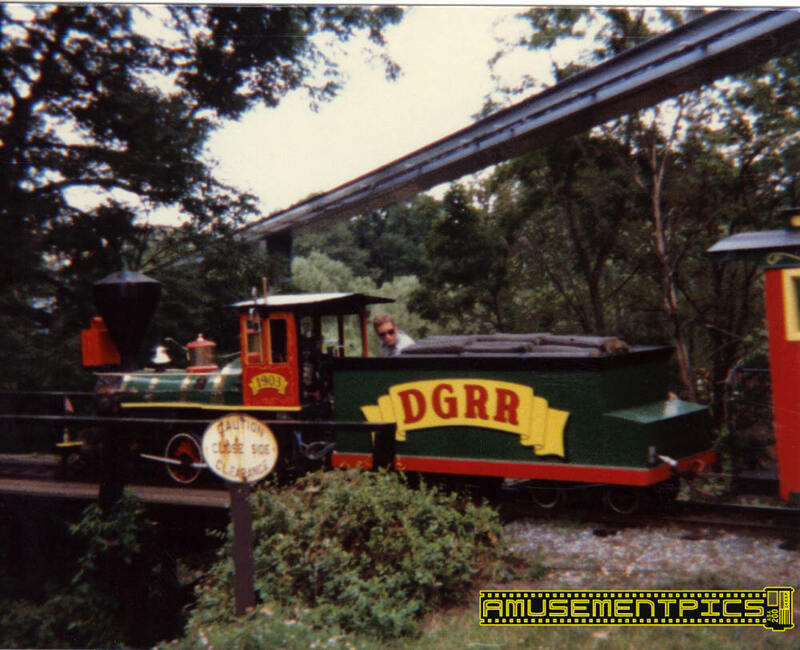 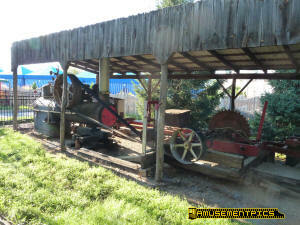 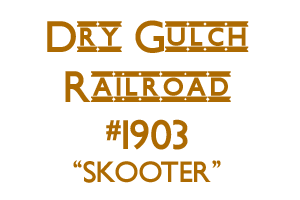 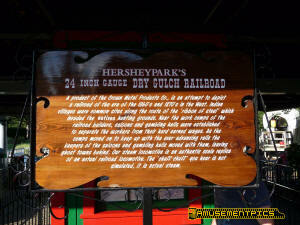 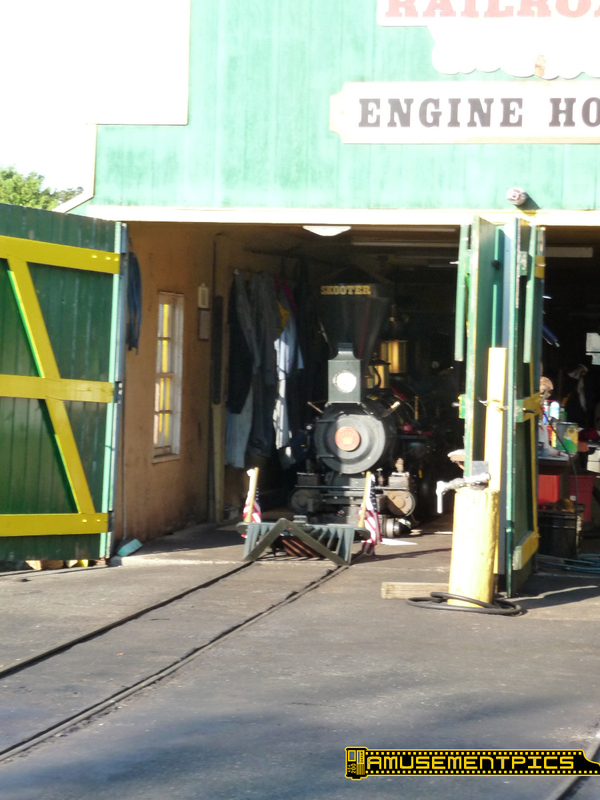 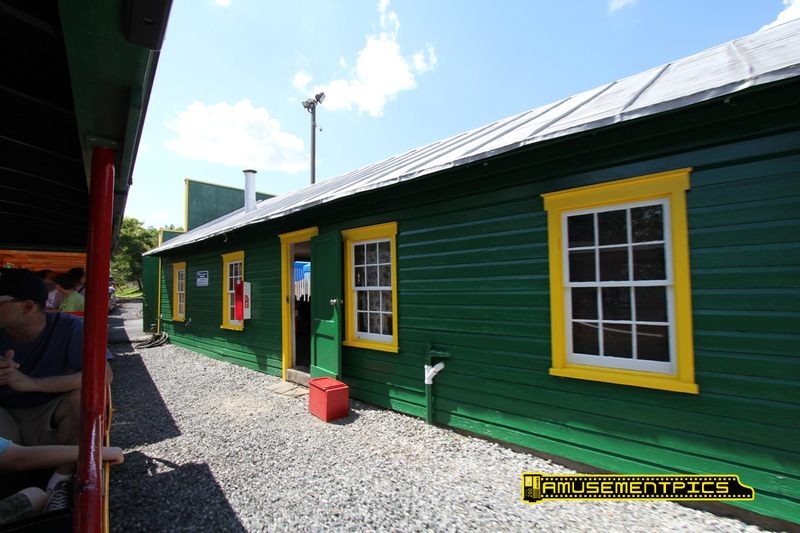 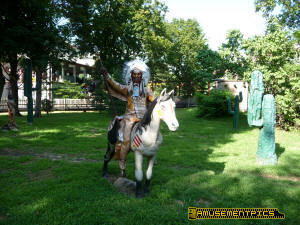 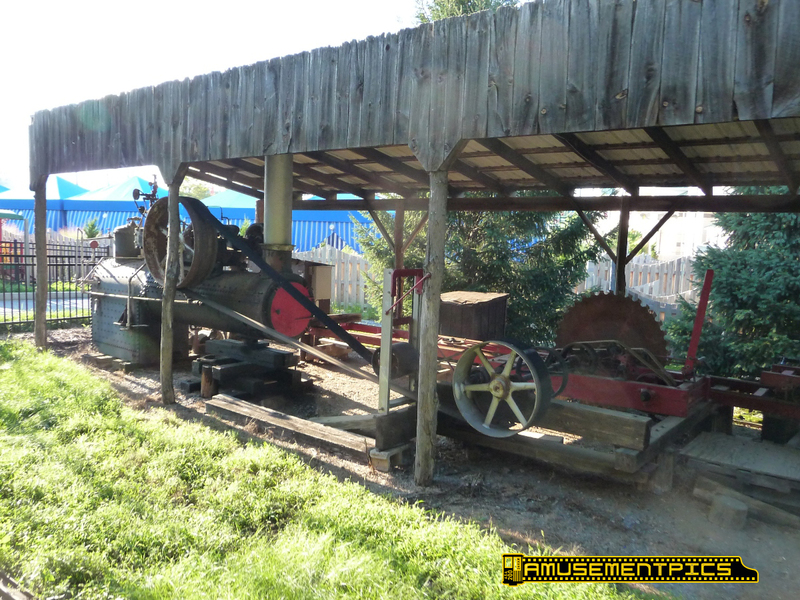 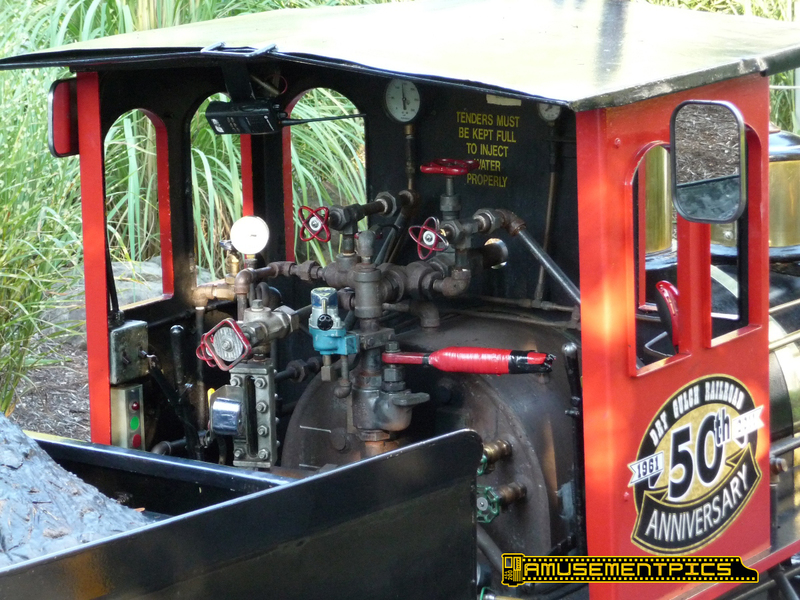 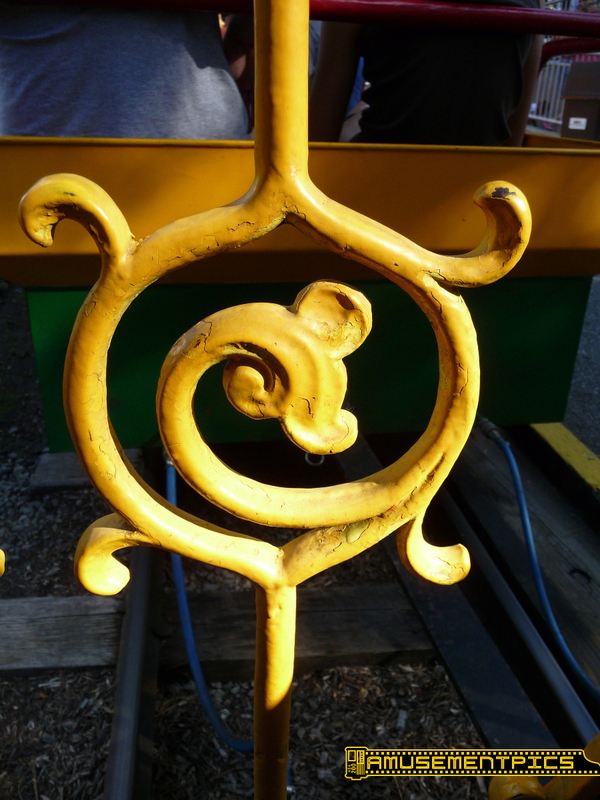 The Dry Gulch Railroad celebrated its 50th anniversary in 2011. 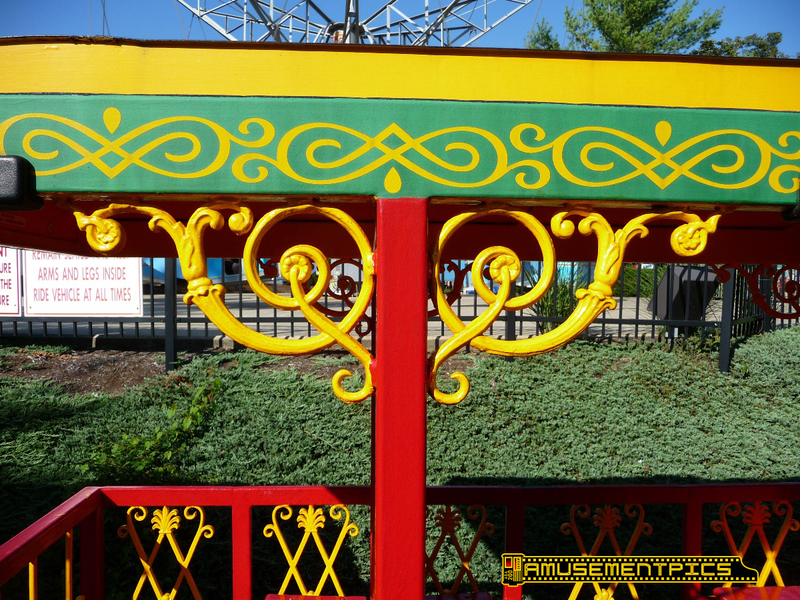 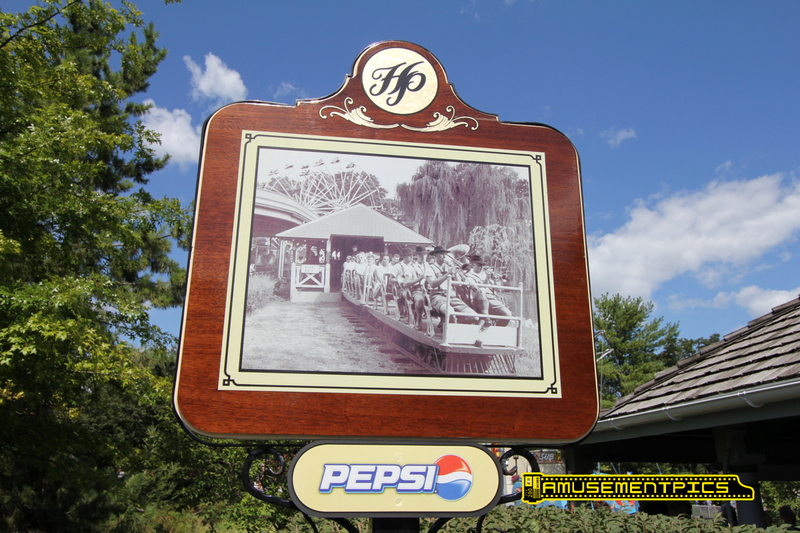 The 24" Crown layout runs is a scenic loop through the park complete with scenery and a large trestle spanning the park's valley as it winds in and out of the other rides. 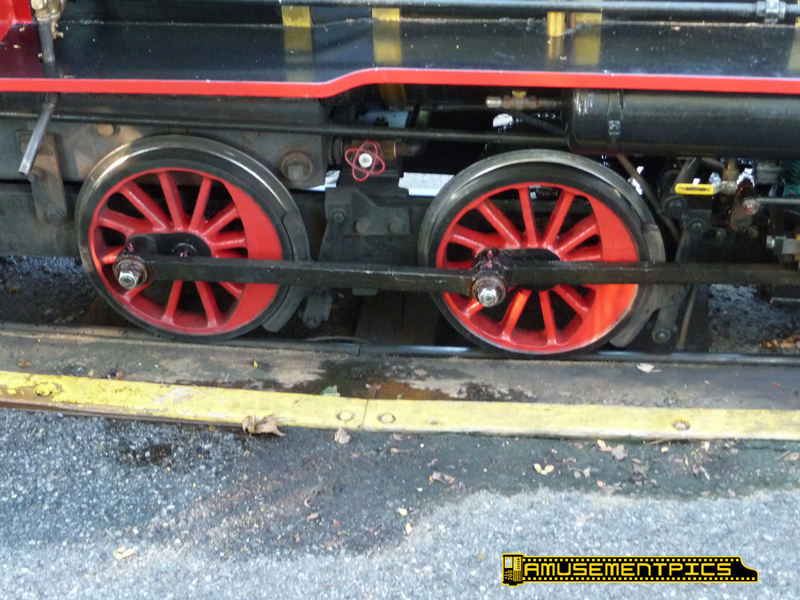 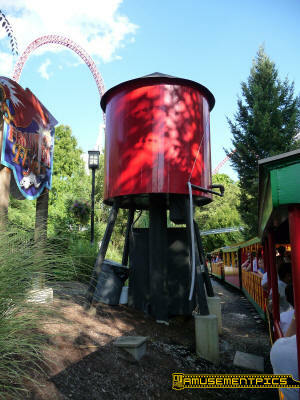 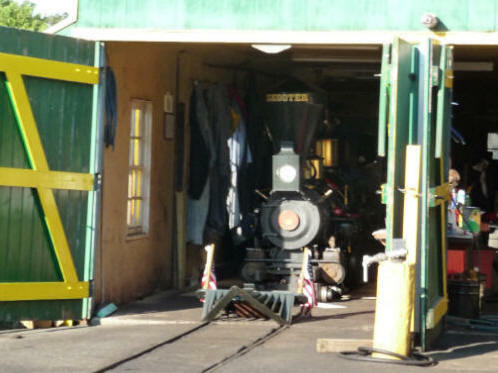 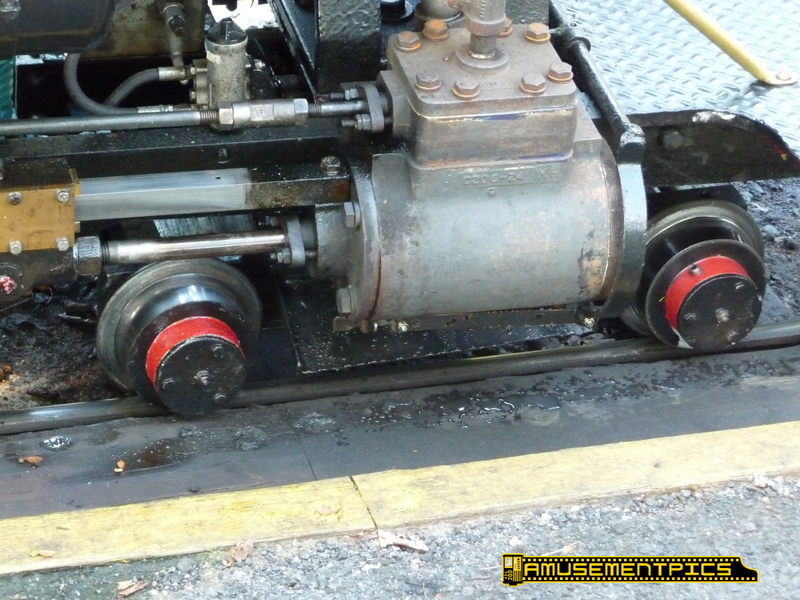 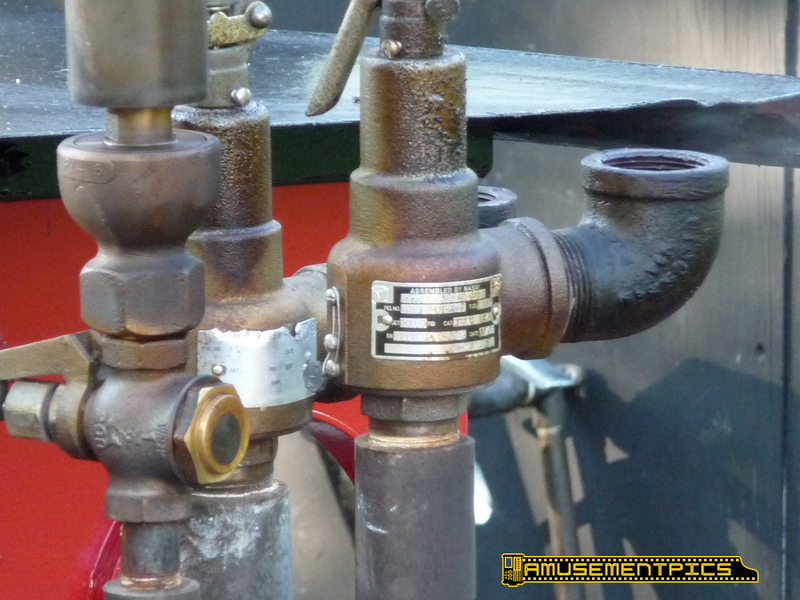 The older of the two 24" Crown locomotives at Hershey Park is Skooter which was acquired in 1984 as a replacement for the original train purchased in 1961 which had boiler problems and was sent back to Crown. 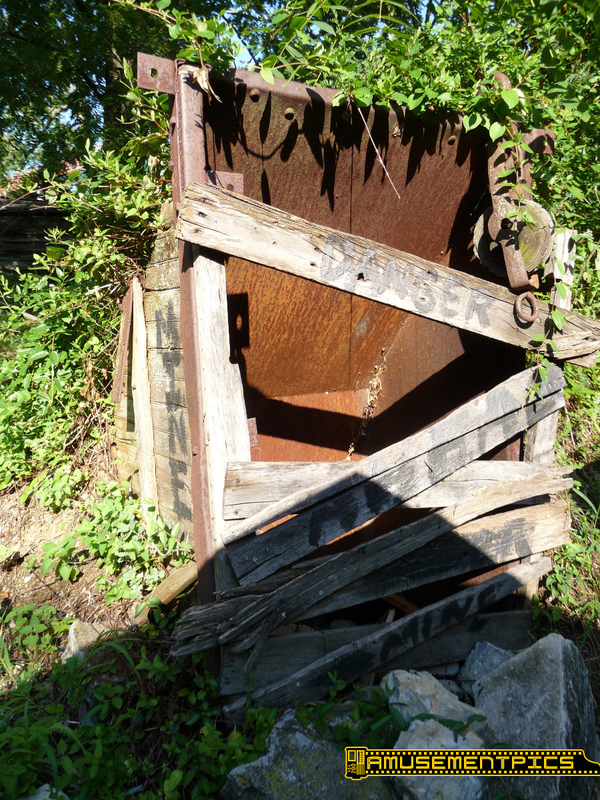 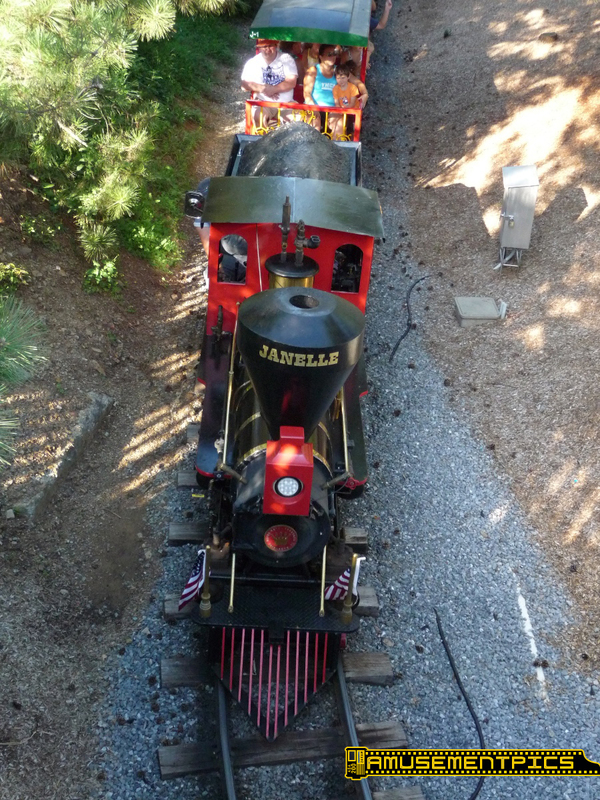 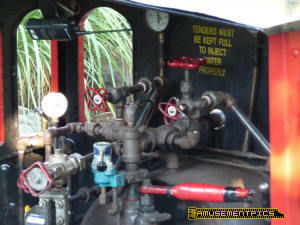 Janelle was a second engine added to the Dry Gulch Railroad in 1990. 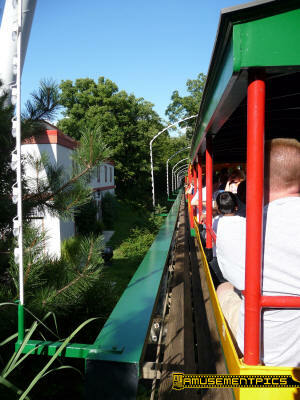 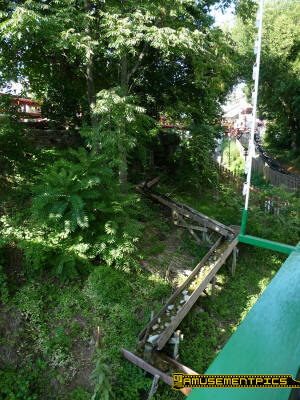 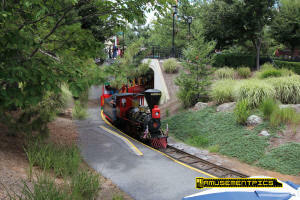 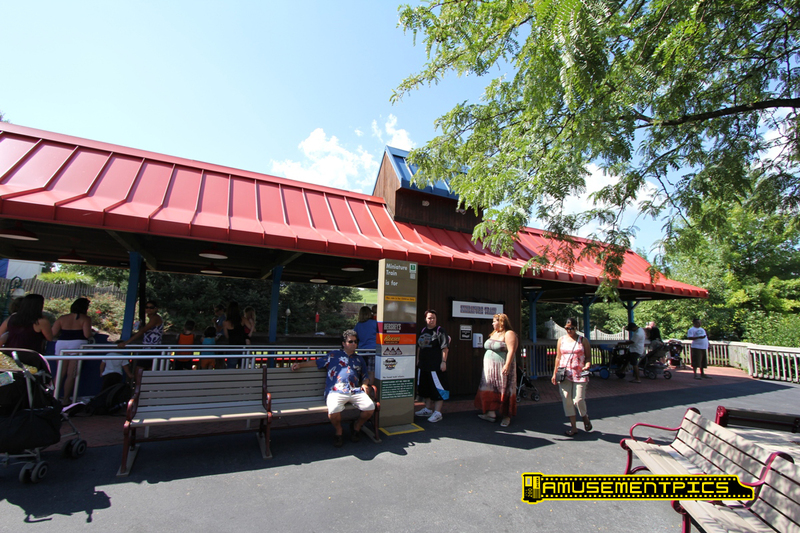 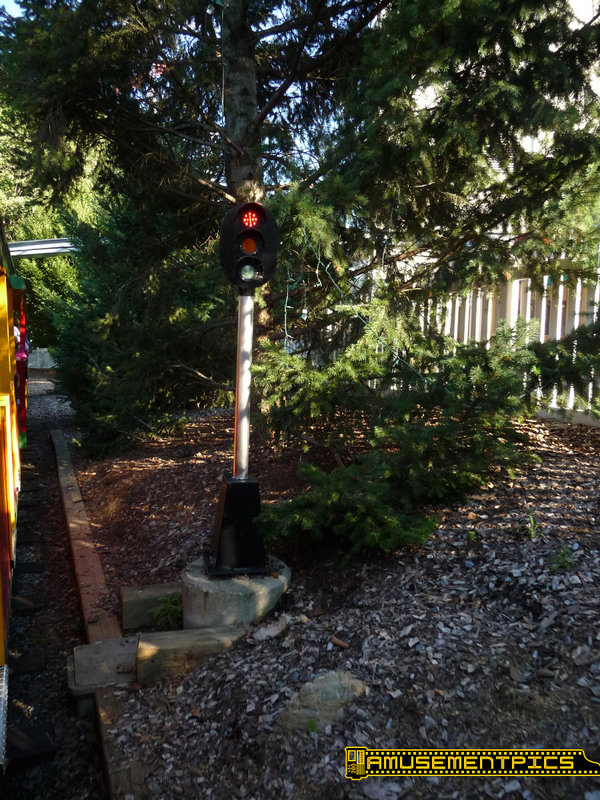 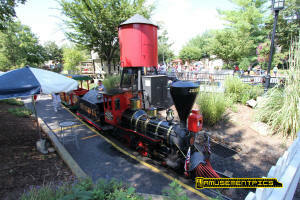 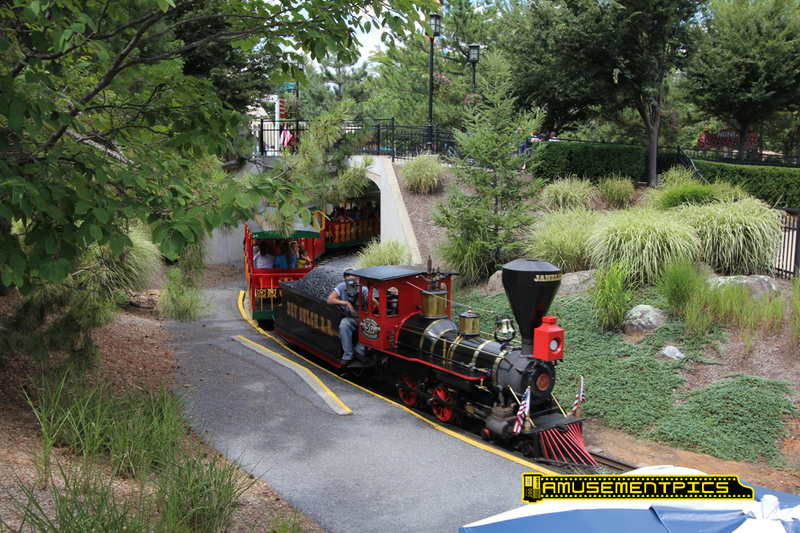 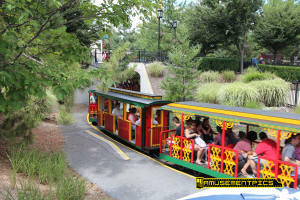 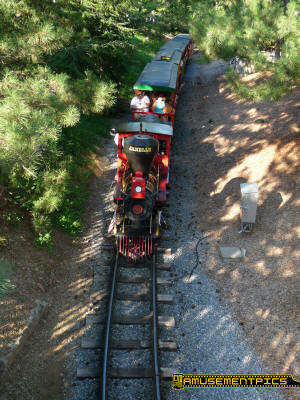 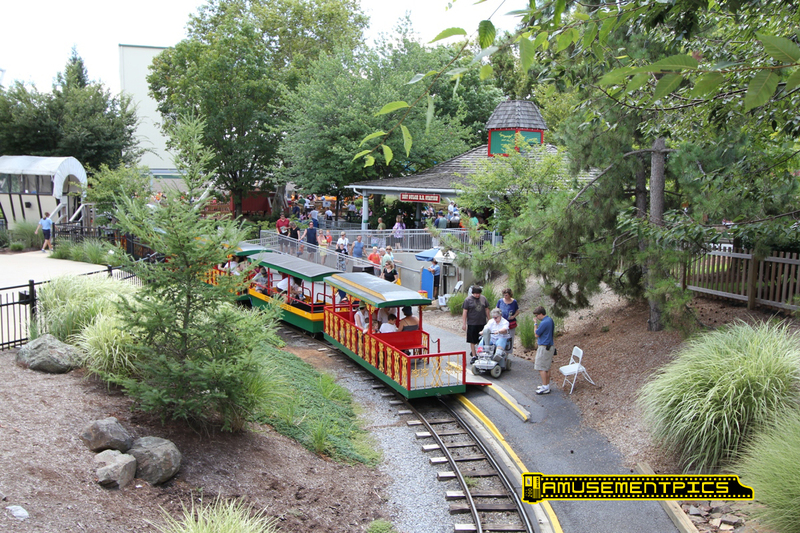 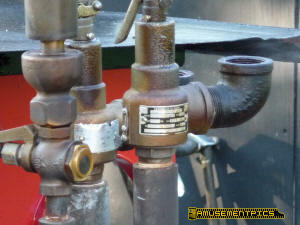 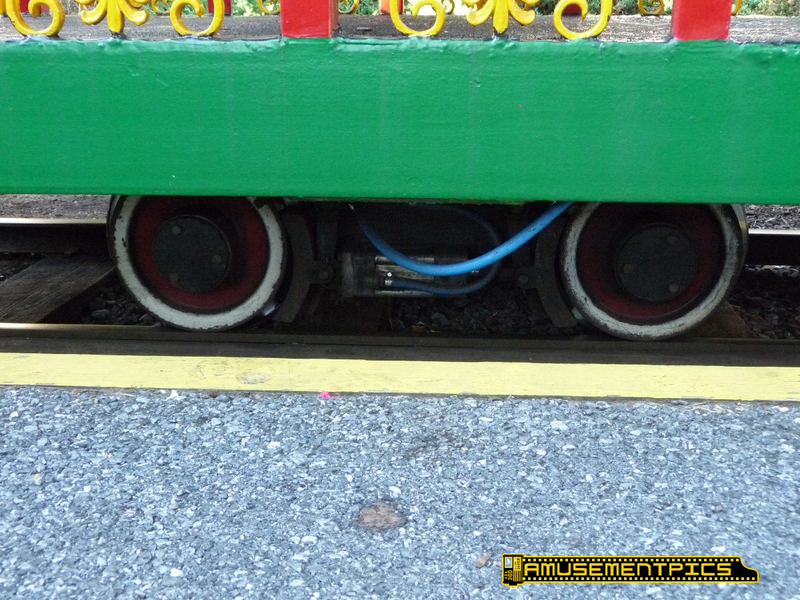 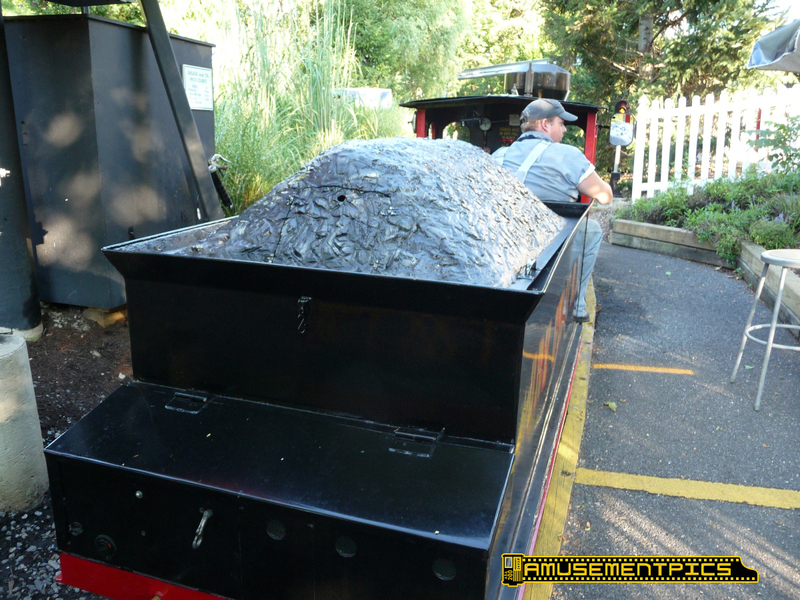 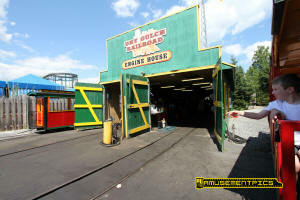 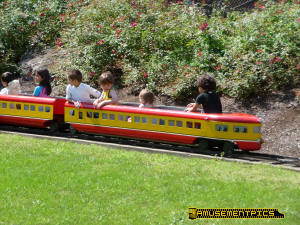 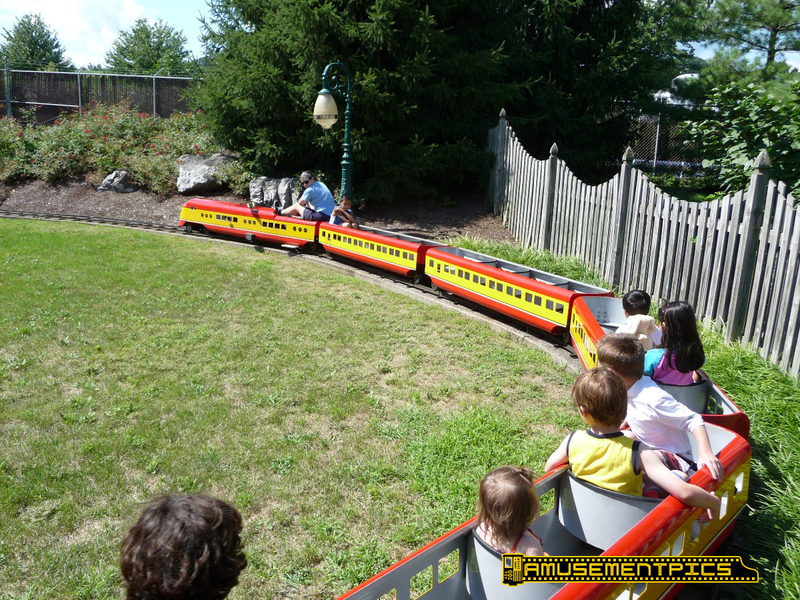 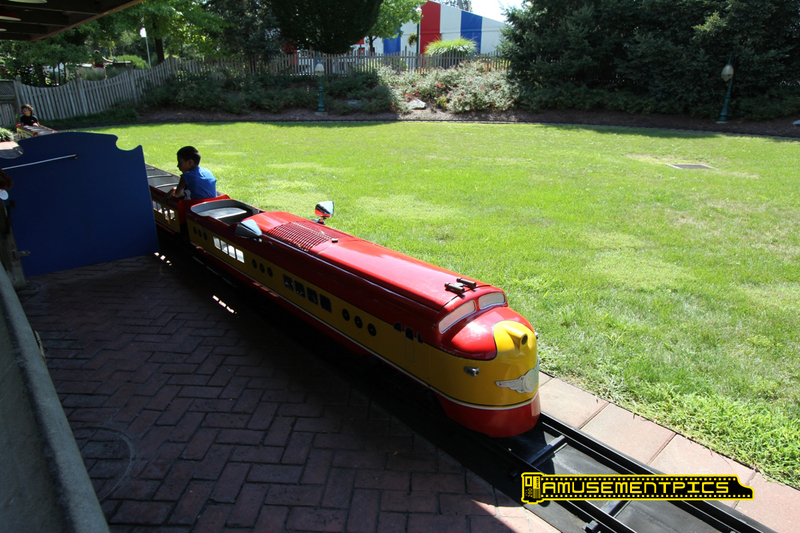 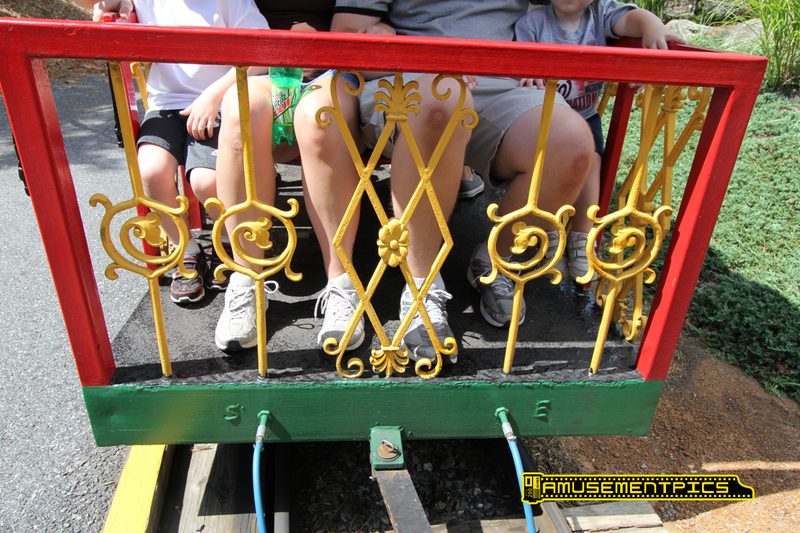 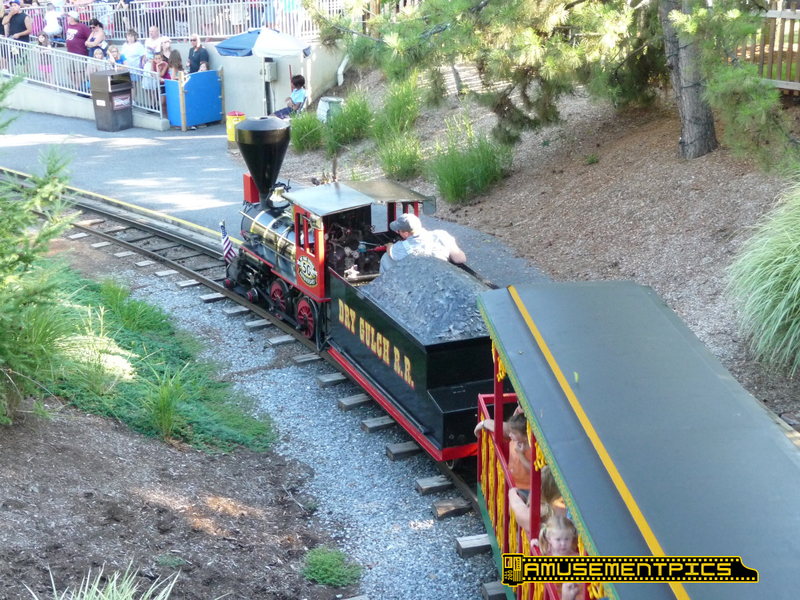 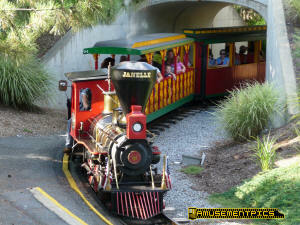 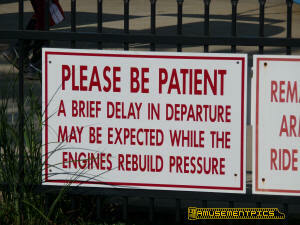 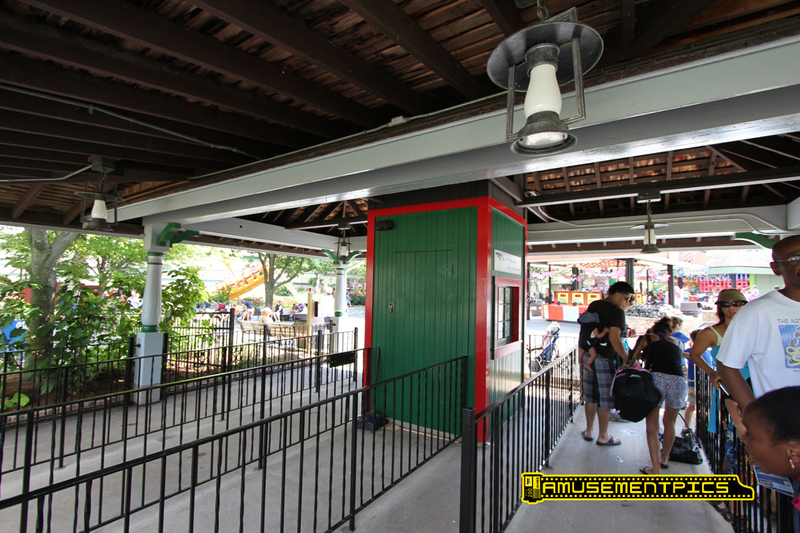 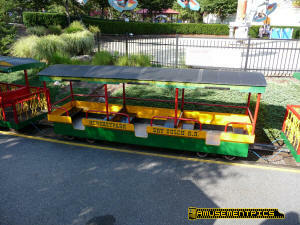 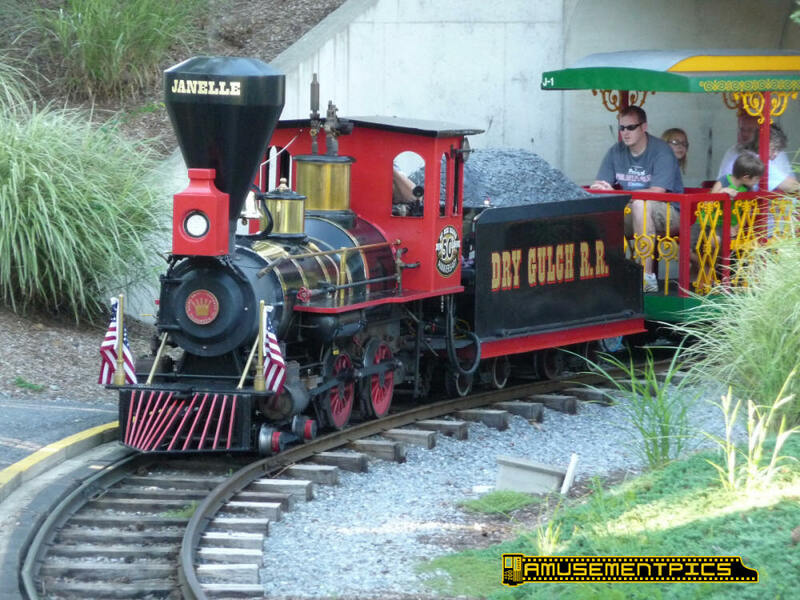 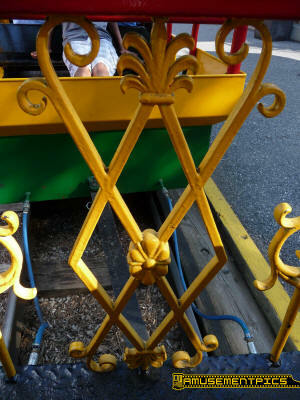 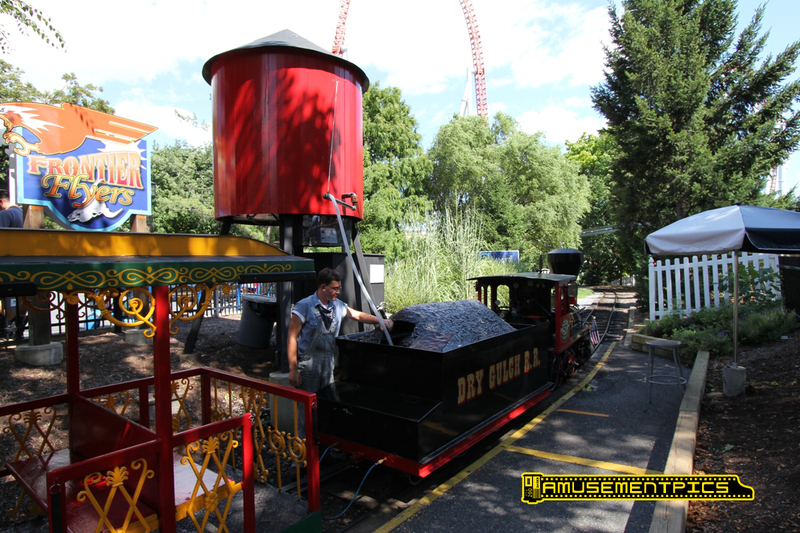 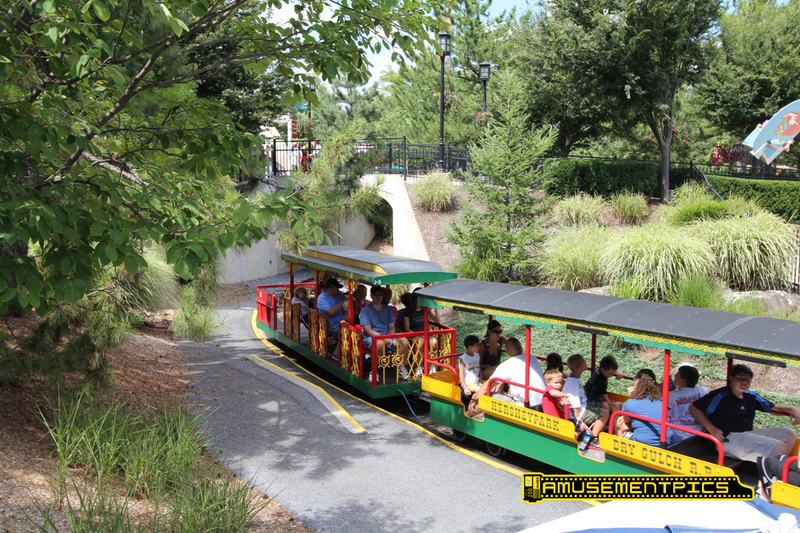 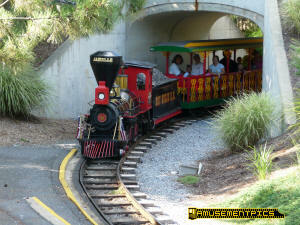 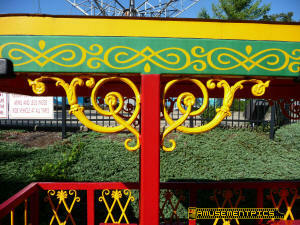 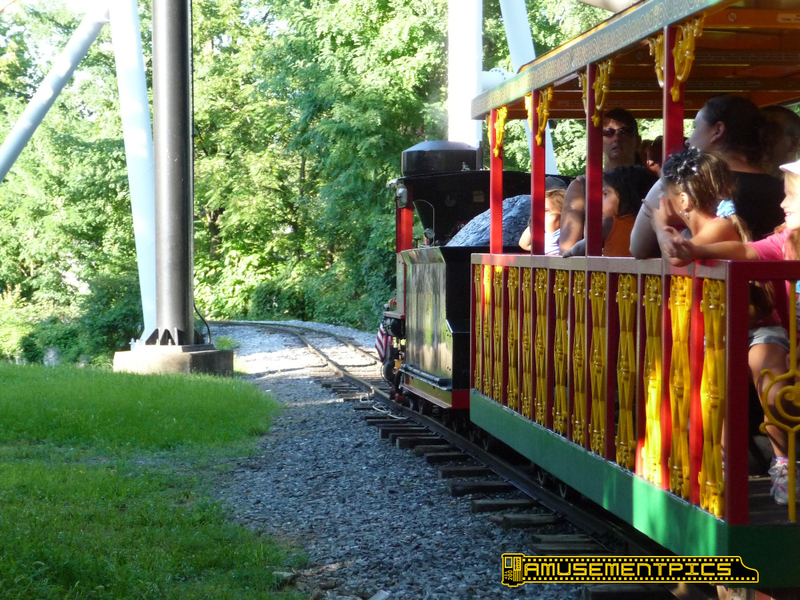 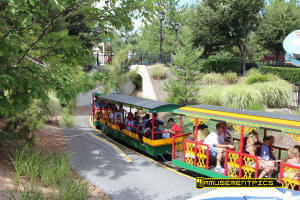 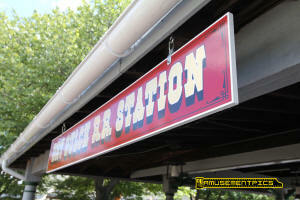 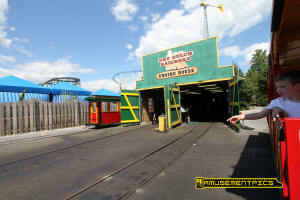 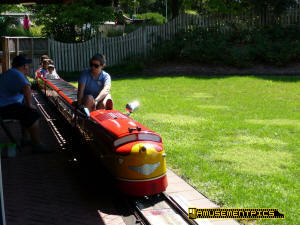 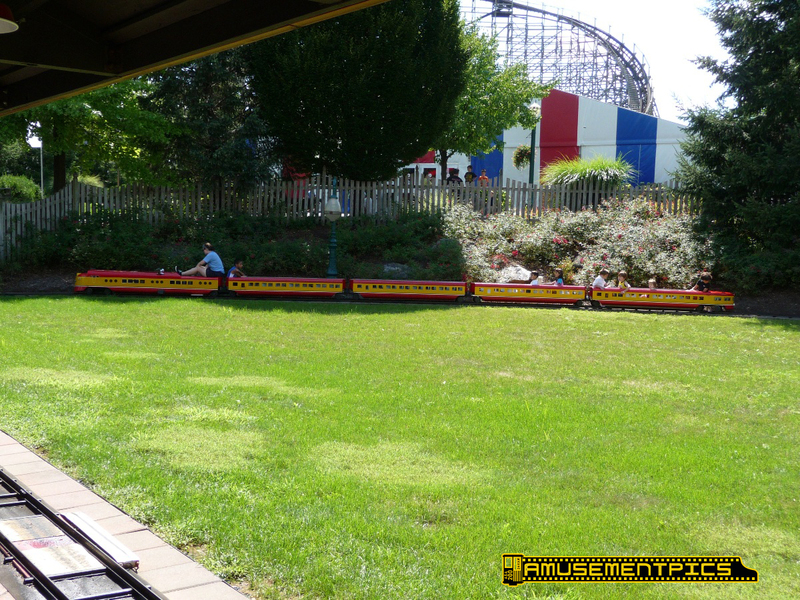 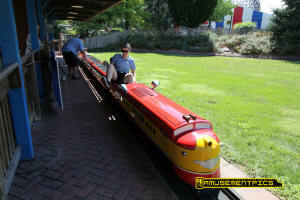 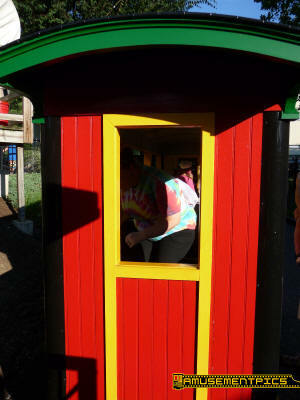 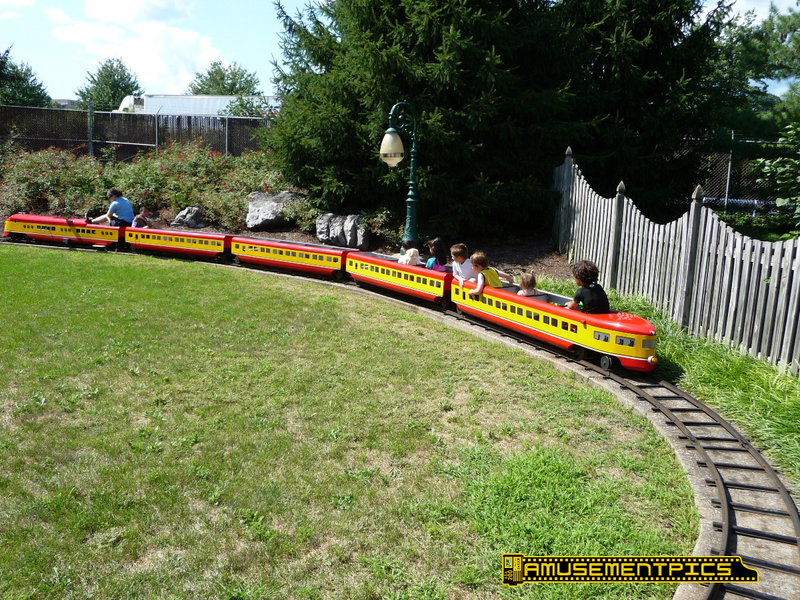 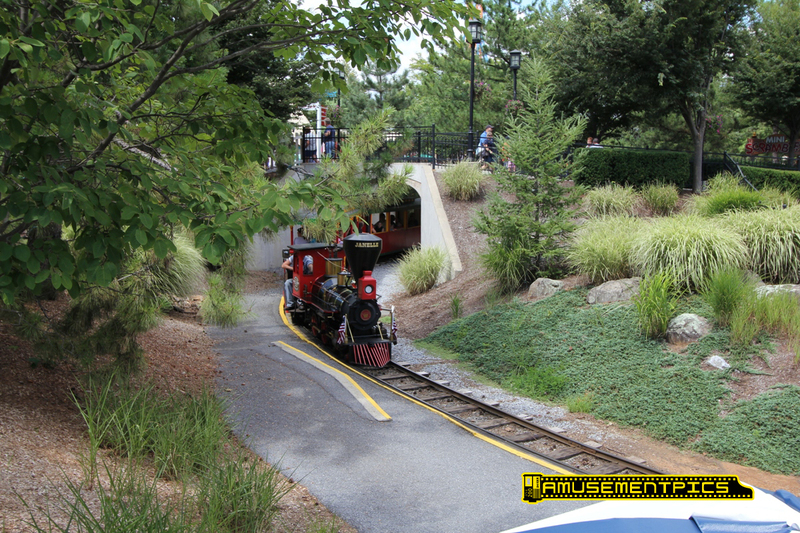 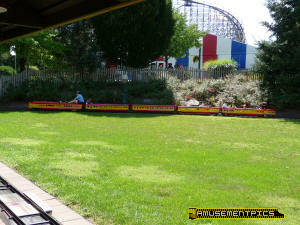 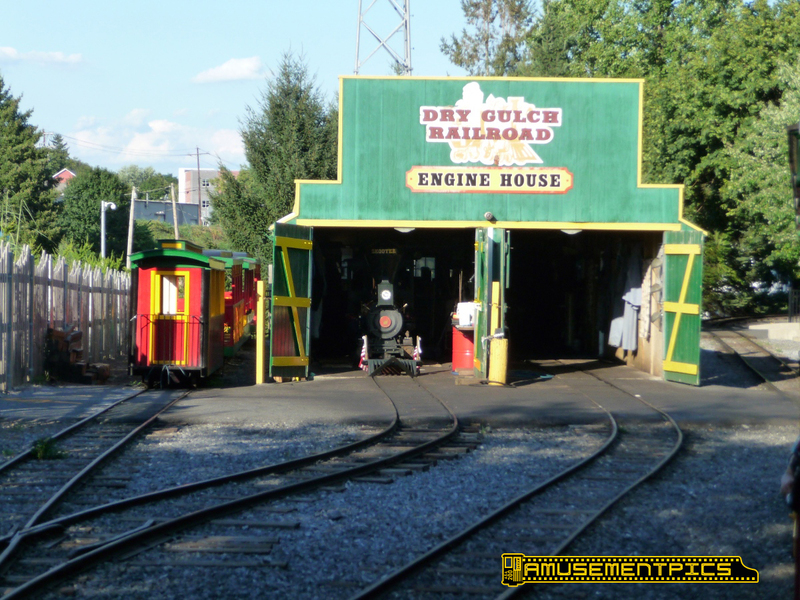 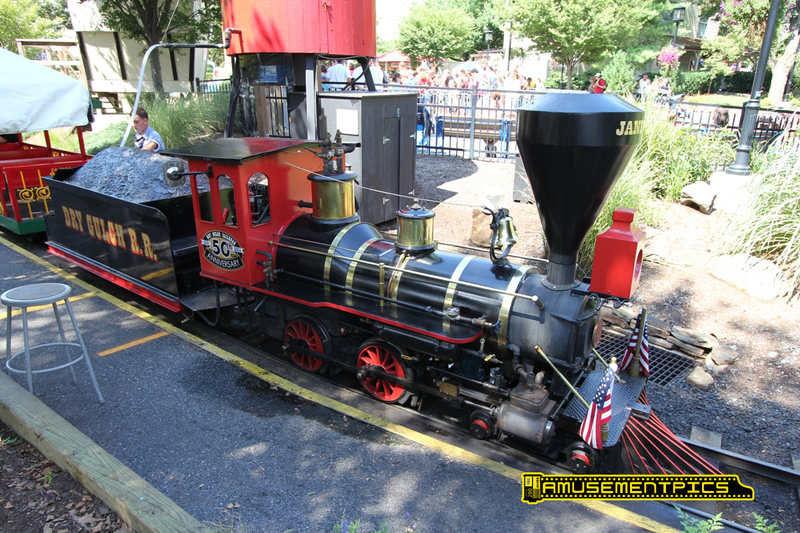 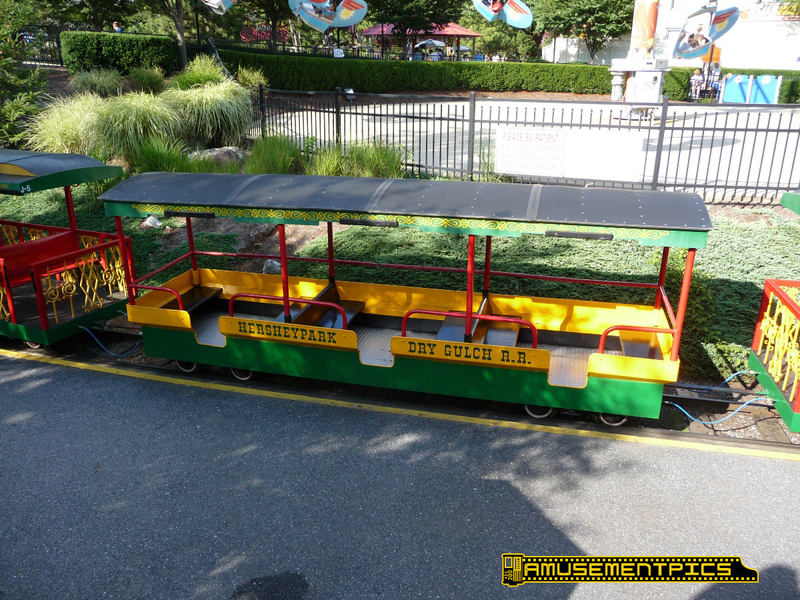 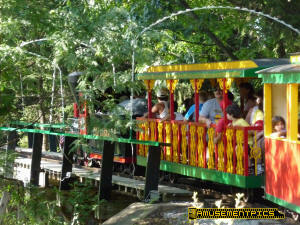 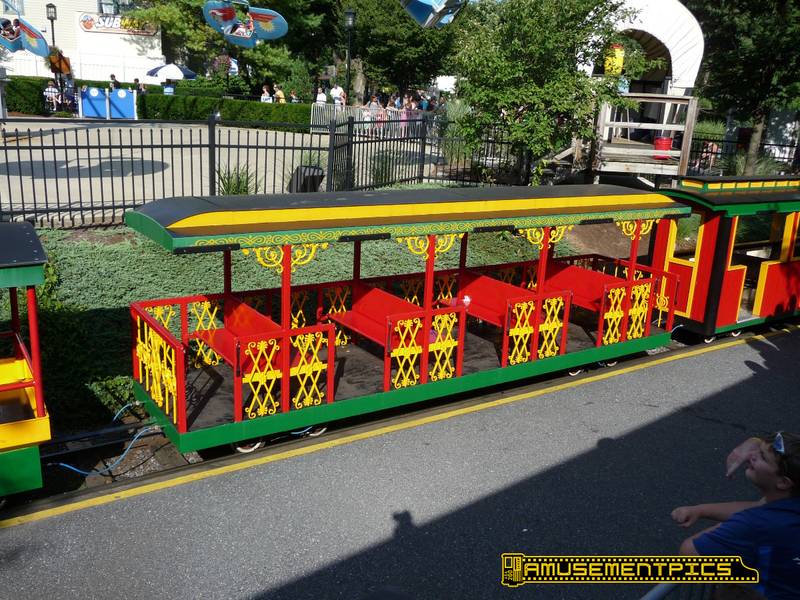 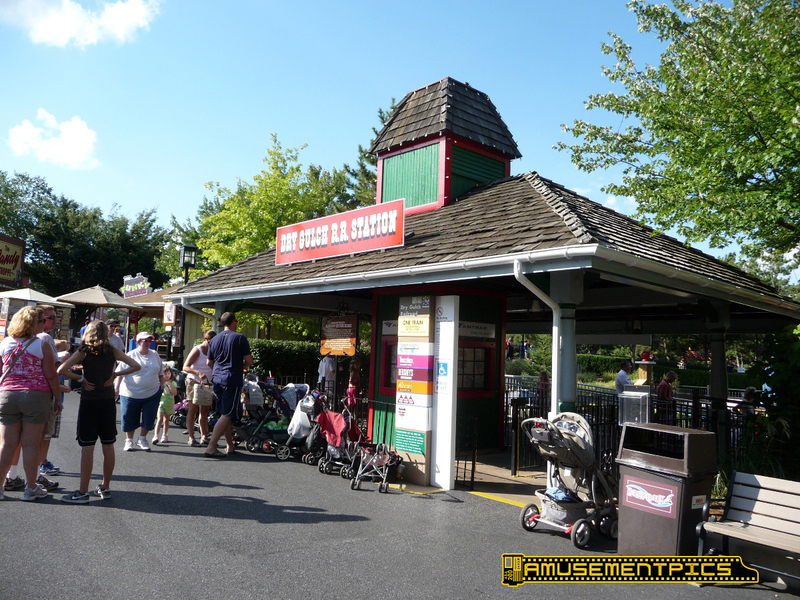 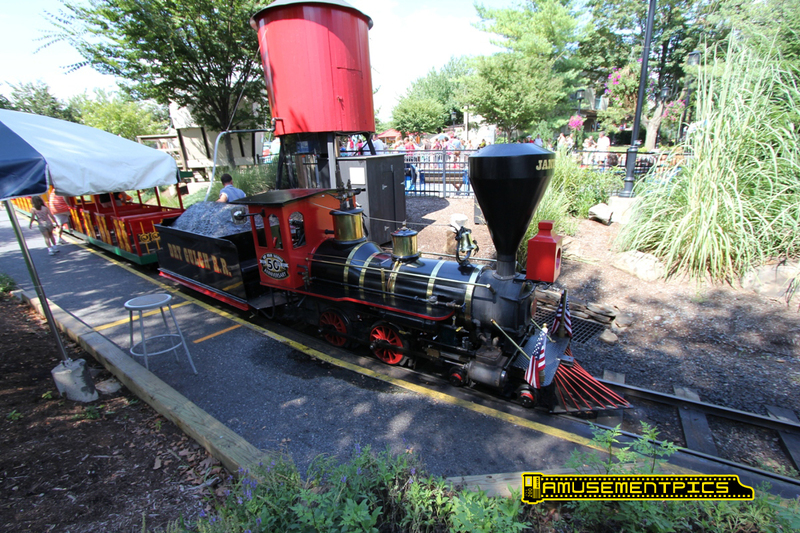 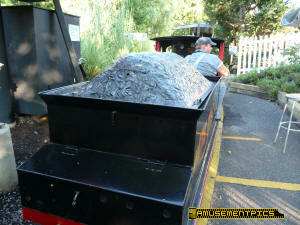 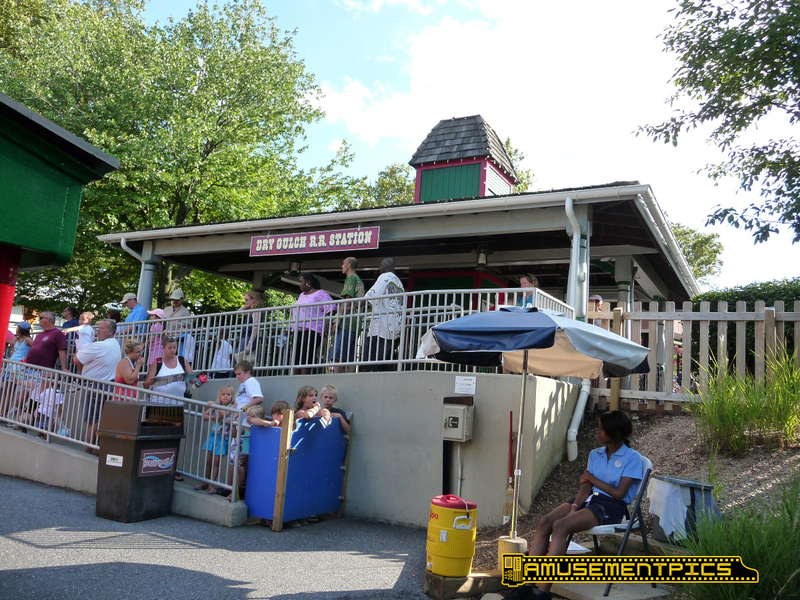 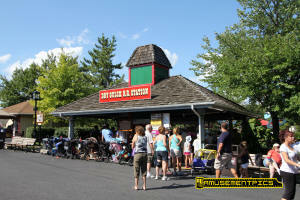 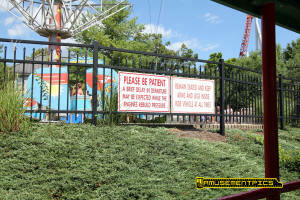 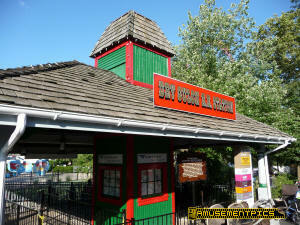 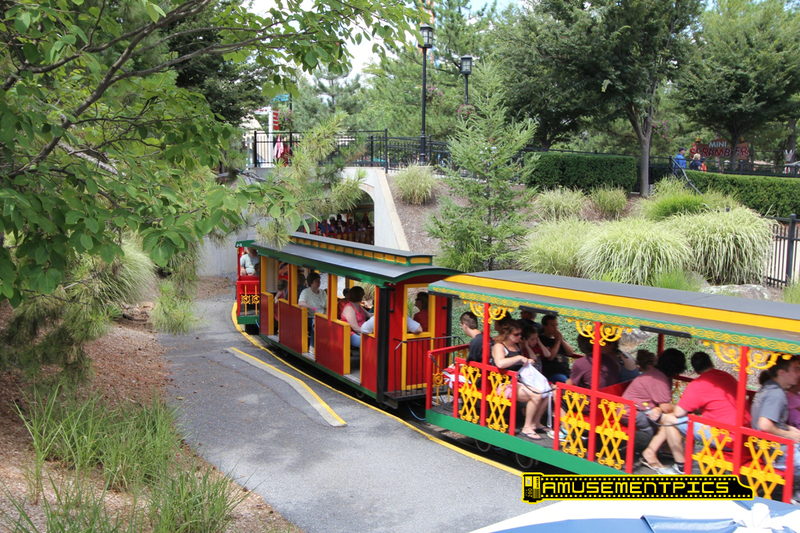 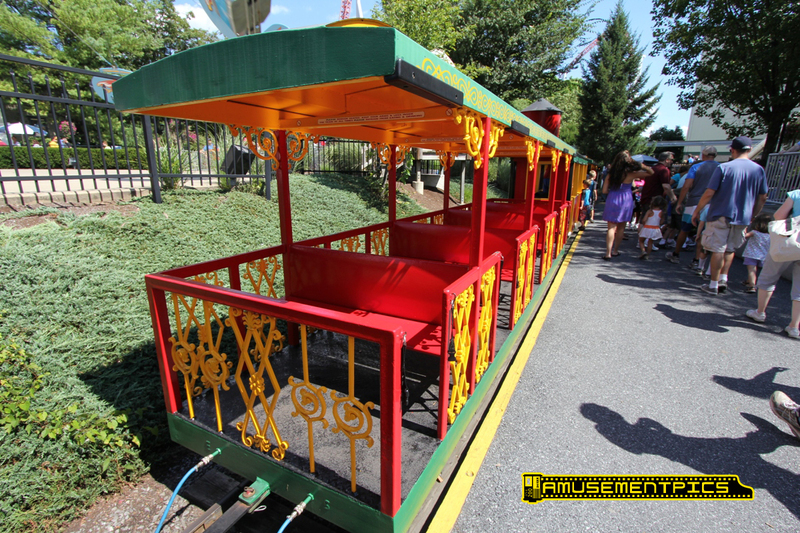 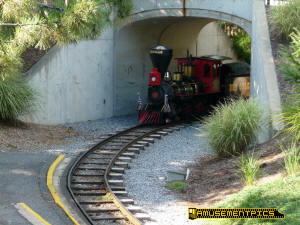 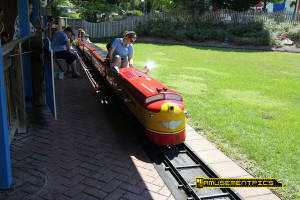 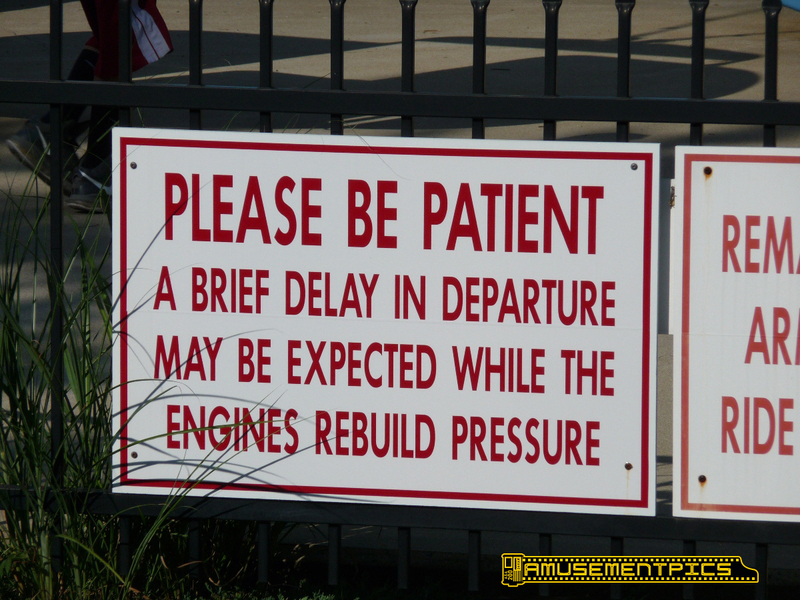 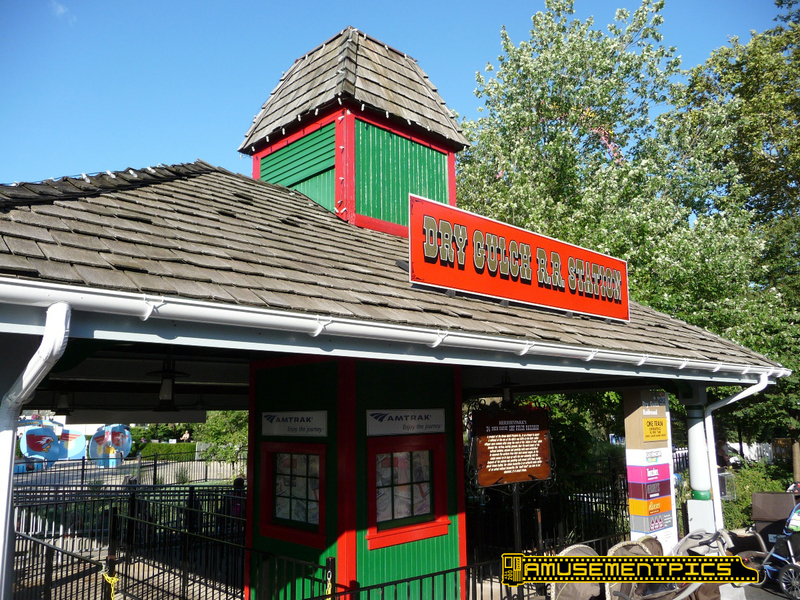 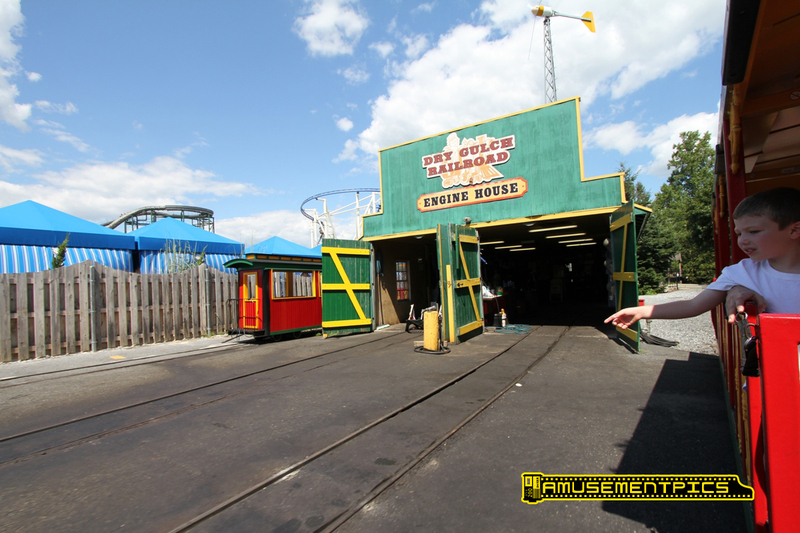 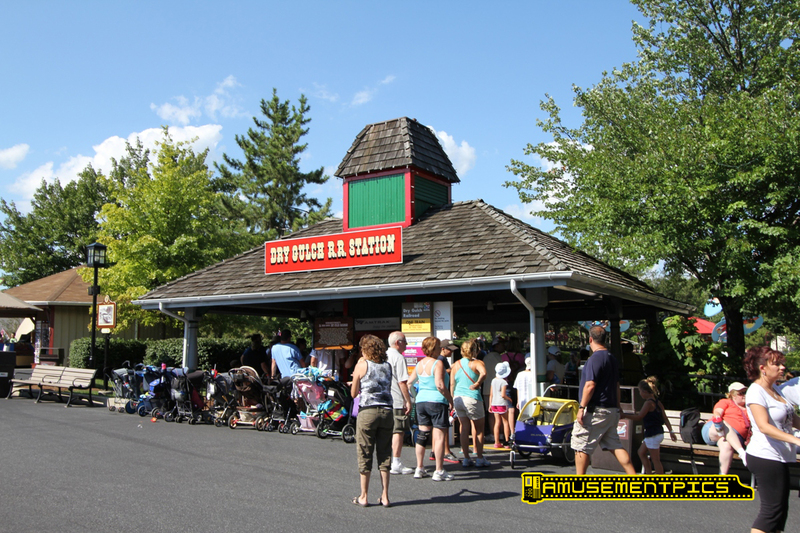 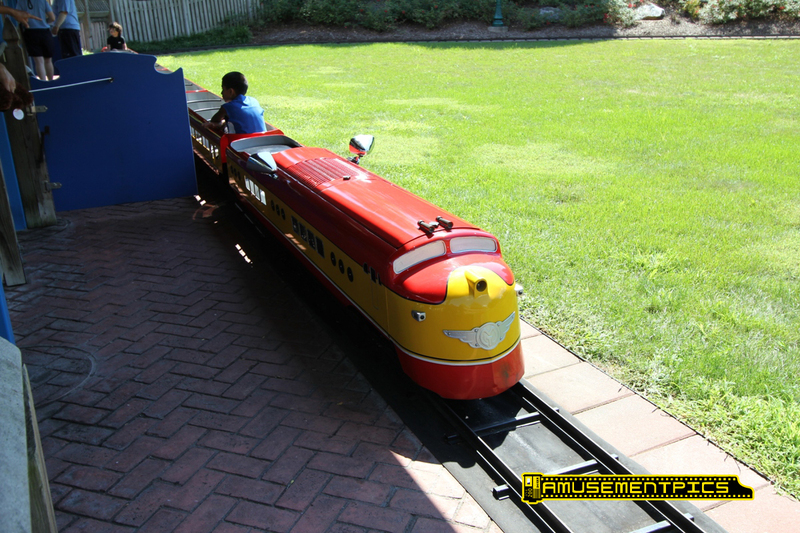 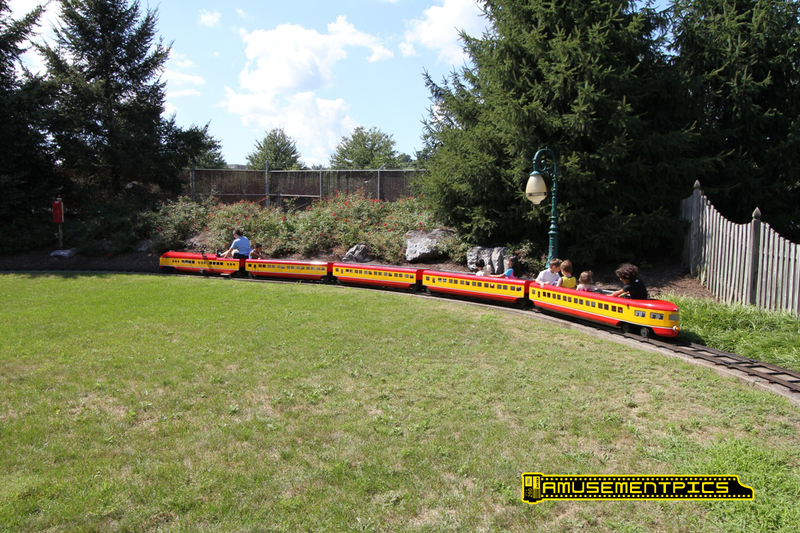 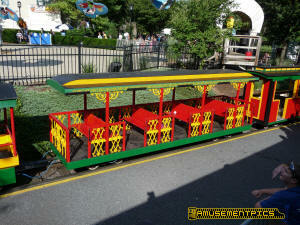 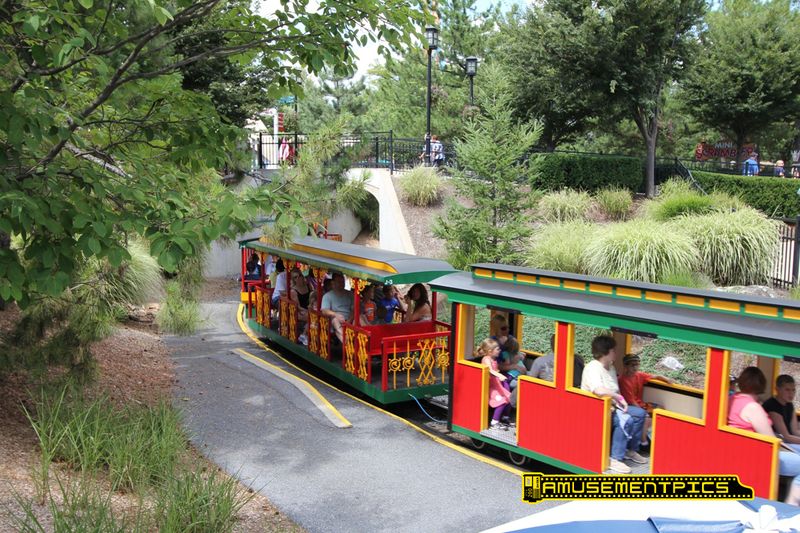 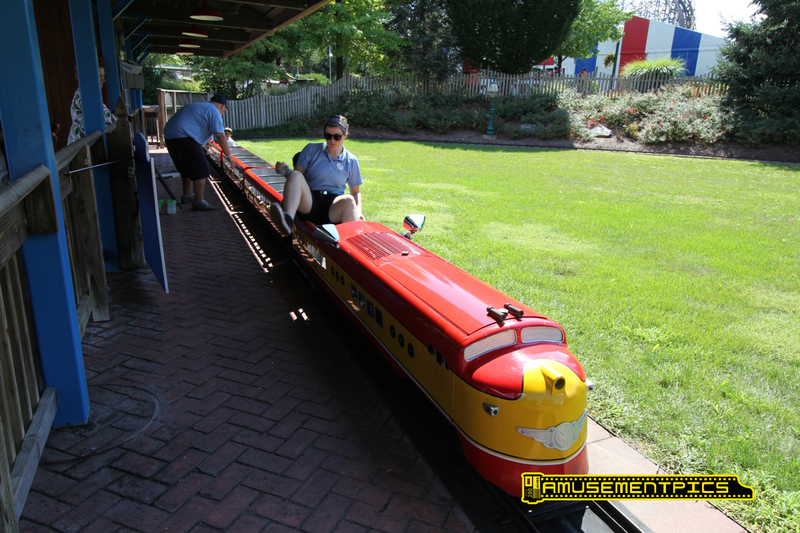 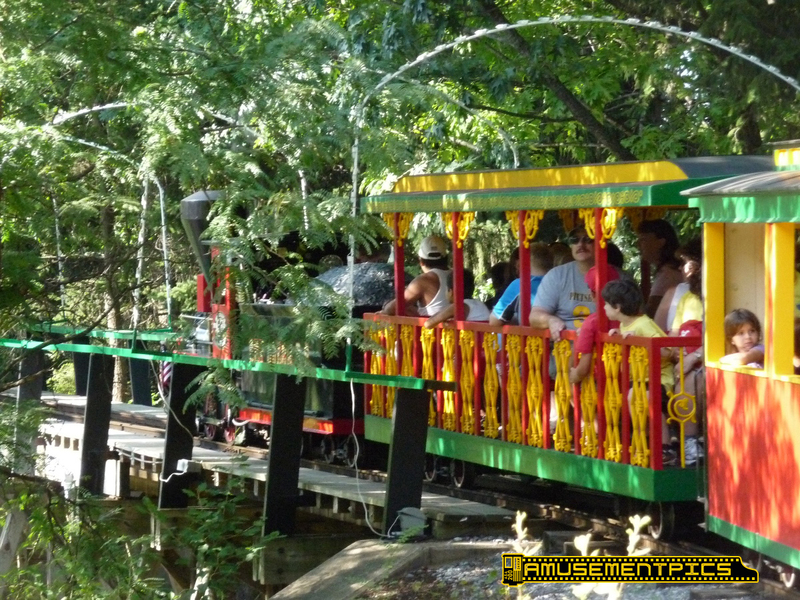 Hershey Park also features a second train ride, with the Miniature Train. 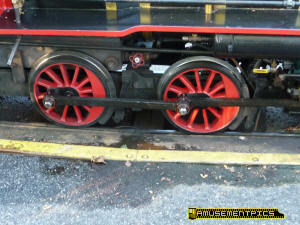 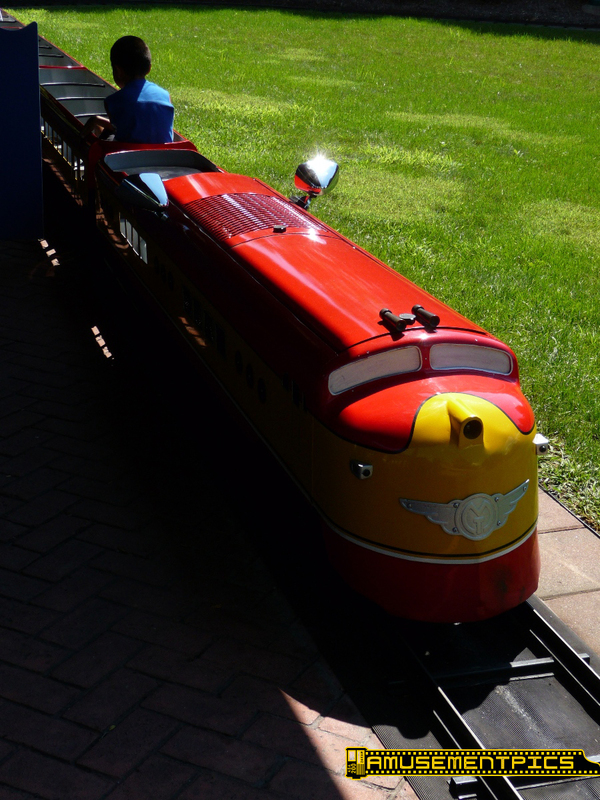 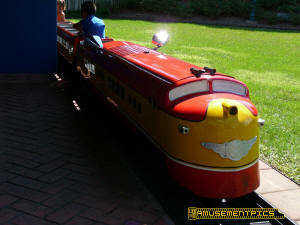 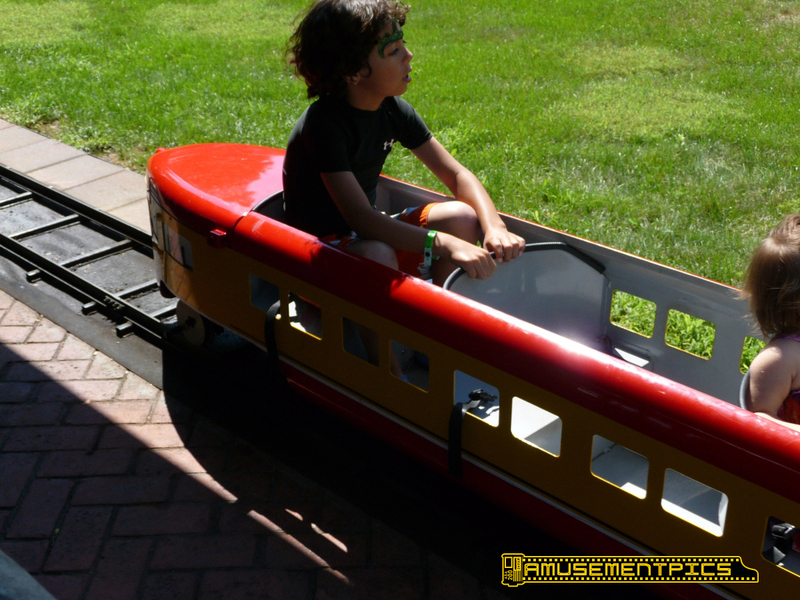 This child sized ride-on streamlined diesel style train was built by Chance rides.